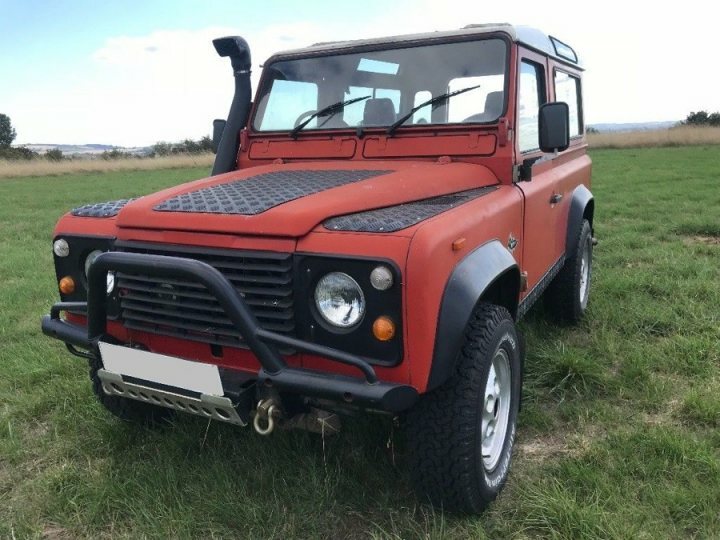 DEFENDER2.NET - View topic - Genuine LR colours for a 1984 90 V8? Home > V8 > Genuine LR colours for a 1984 90 V8? Defender9 & Slidey or those with brochure LR335E... The One Ten CSW and Ninety soft top (I'm learning Slidey!) in the brochure, am I right in thinking they are Stratos Blue? Thank you, it's a photo of the brochure in artificial light so not a good representation. 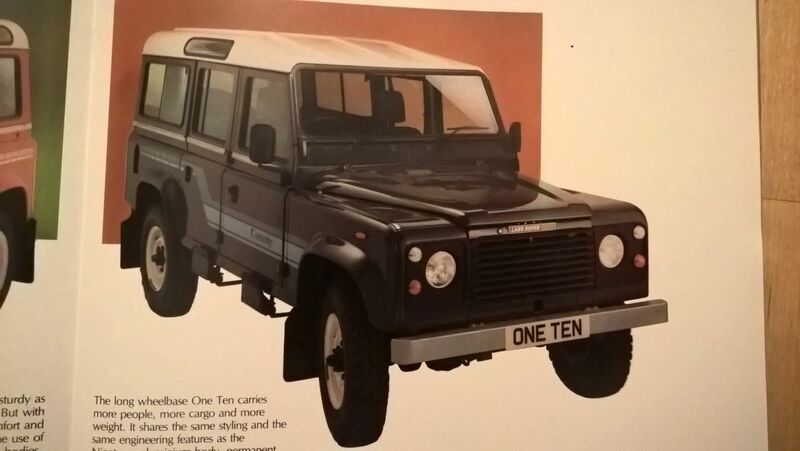 Yes, the One Ten CSW is Slate Grey. James, the chap Richard who runs the S2C pub meet at Sturmer (he came to mine in a SIII on the Defenders by the Pond weekend, I don't know if you spoke to him) recently had an identical Slate Grey CSW of the same era. It was a nice vehicle and went well - just a shame about the chassis! 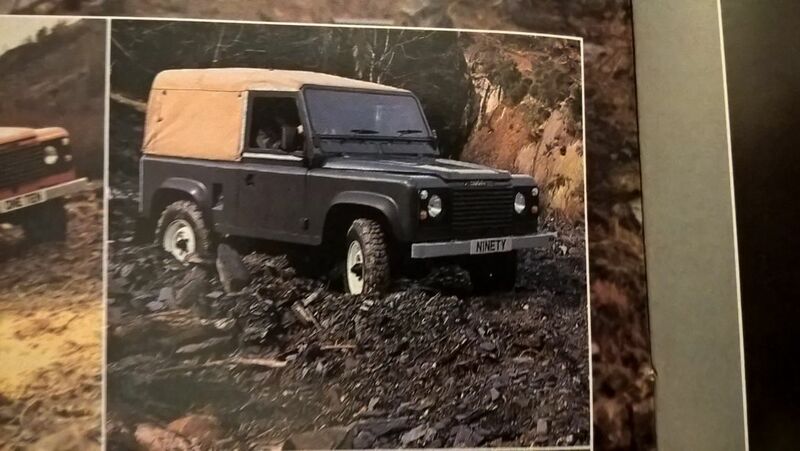 The Ninety soft top in the brochure is Bronze Green. Come to Sturmer next Weds, I'll bring any brochures you want! Well, look at page 8, the 2 bottom right hand photos. The Ninety soft-top above the One Ten CSW towing the horse trailer. Do the colours look the same? 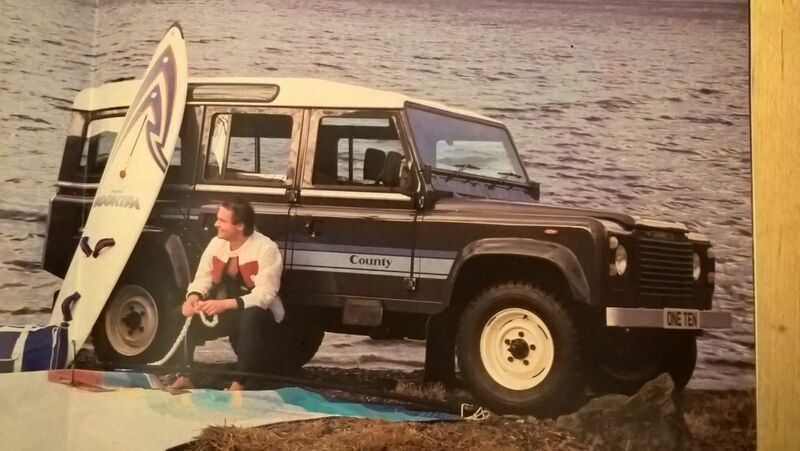 Incidentally it is ironic that there are more photos of that soft-top in the brochure than any other variant, yet they sold so few that they stopped building soft-tops for the UK market within months. Shouldn't have been a surprise as they sold relatively few full tilt late SIII's. To be honest the Ninety in the top picture on that page looks more green to me but I think it’s the light. Opening this one back up again - what colour red is mine? It's a 90 V8 CSW, and a bit faded.